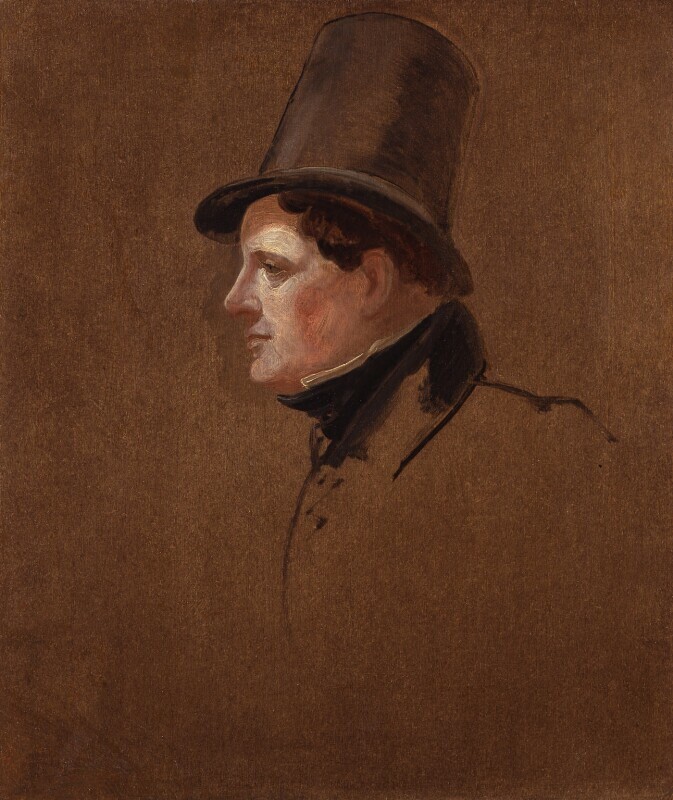 This is a study for Hayter's 'House of Commons, 1833' (NPG 54). In the finished group O'Connell is shown without a hat, but the profile pose of the head and treatment of the features is very similar in both group and study. In a letter of 4. November 1967 (NPG archives), Miss Kensington stated that the sketch had come from her father, who died in 1931; he might have acquired it from G. H. Hart(? ), a bookseller in Bromley, Kent. Healthy complexion, brown hair. Dressed in a white collar, a black stock, dark unfinished coat and greyish top hat. Brown background colour. Presumably Hayter Sale, Christie's, 21 April 1871 (lot 532); Miss Lorna Kensington; purchased at Sotheby's, 5 October 1967 (lot 337). F. Bartolozzi 1794 (see below); J. Owen, 1799 (bust length; Public Characters of 1798-99); Orne jr. 1800 (European Mag. ; half-length oval).